"The MX ERGO is our first adjustable trackball that delivers on the need for elevated comfort in a beautiful design." 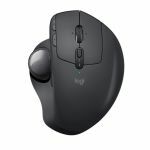 NEWARK, Calif. & LAUSANNE, Switzerland--(BUSINESS WIRE)--Today Logitech (SIX:LOGN) (NASDAQ:LOGI) announced Logitech MX ERGO, a wireless trackball that sets a new standard for comfort and precision. Launching its first new innovative trackball in nearly a decade, Logitech’s MX ERGO offers personalized comfort with a unique adjustable hinge, precision tracking with multi-device connectivity for trackball enthusiasts, and those consumers searching for alternatives to mice and touchpads. The MX ERGO reduces muscular strain by 20% compared to using a standard mouse. With the adjustable hinge, you can increase the angle from 0 to 20 degrees which improves wrist posture and pronation. The carefully sculpted shape gives your hand full palm and finger support, while the soft rubber on the top ensures a good, comfortable grip for long hours of work. MX ERGO offers the latest tracking technology, allowing faster and more precise navigation, with the ability to instantly change your cursor speed and accuracy for optimal control with the press of a button. An LED light illuminates when precision mode is activated, giving you the ideal control with the trackball. Featuring a rechargeable battery that lasts up to four months on a full charge, depending on usage, the MX ERGO can also give you a complete day of work with just one minute of charge if you find yourself low on power. MX ERGO is enabled with both Logitech Easy-SwitchTM and Logitech FlowTM. With Logitech Flow, available as a free download as part of Logitech® OptionsTM software, and Easy-Switch, you can take multi-computer use to a new level. Seamlessly switch between two computers with one mouse, and even copy and paste content, images and documents between them. The MX ERGO is elegantly designed, with high-quality materials that feel good in your hand. The mice pair well with Logitech’s other luxury products like the Logitech CRAFT Advanced Keyboard with Creative Input Dial, Logitech Spotlight Presentation Remote, or Logitech MX Sound. Combined, these products give you a premium experience that looks and feels better on your modern workspace. The Logitech MX ERGO is priced at $99.99 and expected to be available at Logitech.com and select retail stores throughout North America in September. An exclusive edition is also available at Best Buy for $99.99, MX ERGO Plus. For more information, please visit Logitech.com, our blog or connect with us on Facebook, Instagram and Twitter. Logitech designs products that have an everyday place in people's lives, connecting them to the digital experiences they care about. Over 30 years ago, Logitech started connecting people through computers, and now it’s designing products that bring people together through music, gaming, video and computing. Founded in 1981, Logitech International is a Swiss public company listed on the SIX Swiss Exchange (LOGN) and on the Nasdaq Global Select Market (LOGI). Find Logitech at www.logitech.com, the company blog or @Logitech. 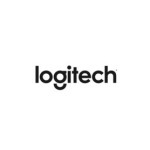 2017 Logitech, Logicool, Logi and other Logitech marks are owned by Logitech and may be registered. All other trademarks are the property of their respective owners. 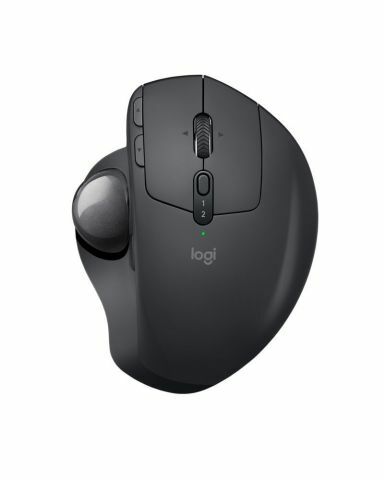 For more information about Logitech and its products, visit the company’s website at www.logitech.com.